A "coffee shop" in Shanghai, opened to brew opportunities for teenagers with autism, has closed after just three weeks – despite being a huge success. 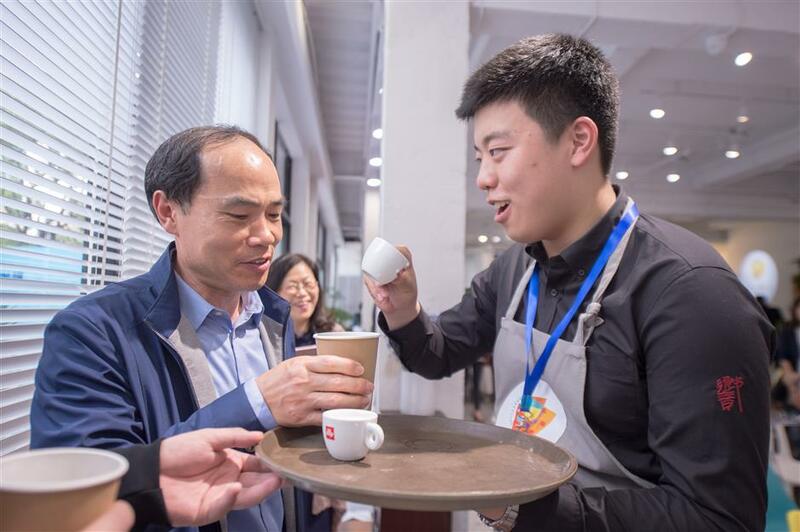 A Coffee, opened in Shanghai to brew opportunities for teenagers with autism, has closed after just three weeks — despite being a huge success. A “coffee shop” in Shanghai, opened to brew opportunities for teenagers with autism, has closed after just three weeks — despite being a huge success. 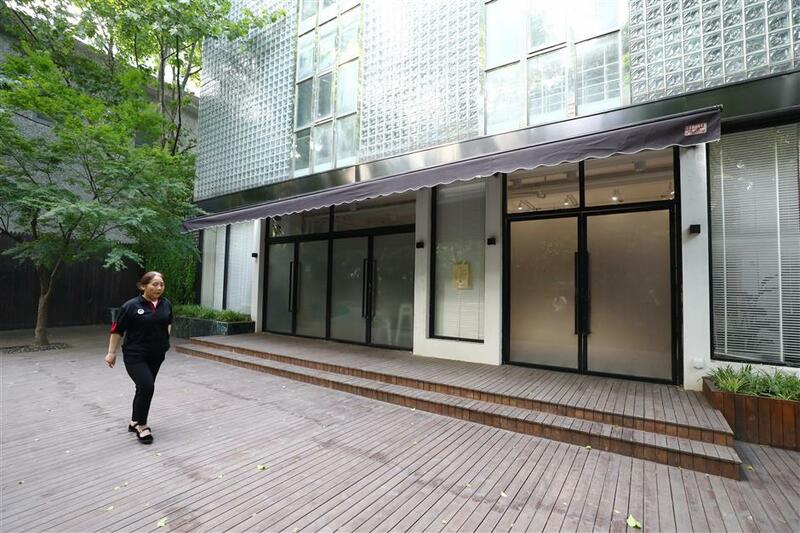 A Coffee, tucked away in downtown Jing’an Park, has become an Internet sensation because its “staff,” from barista to waiters, are all teenagers with autism. With an average age of 16, for most of the 10 or so “staff,” it’s their first job. “I love brewing coffee and serving customers. I feel so glad to chat with others,” said 16-year-old Ji Tianshu. Ji Tianshu, a 16-year-old autistic, serves a volunteer a cup of coffee in the “coffee shop” in Jing’an Park. A Coffee is a coffee shop with a difference. It isn’t an actual coffee shop but a charity project. Trained volunteers impersonate customers, and the autistic teenagers serve them coffee. The experience gives them the opportunity to realize how capable they can be and to learn how to deal with real-life challenges in the workplace. And parents of autistic children have come from Shanghai and nearby cities hoping their children can be taken on in the shop, said Li Wenjing, who has been a volunteer in Cao’s team for four years. The team has been involved in various autism charity programs. On May 2, however, A Coffee was told it would have to move out — a huge blow for Cao, the autistic teenagers and their parents — but it has been a victim of its own success. That’s because the coffee shop, located on the first floor of a three-story building used by a local company Shanghai Jinghu Group Co as offices, wasn’t expected to be such a success but just a temporary set-up. A friend of the company’s boss, who gave her first name as Eva, acted as a go-between in enabling the coffee shop to open in the building, free of rental charges. Ji Yanglin, brand marketing manager of the company, said they had thought it was just a temporary project and didn’t realize it would prove such a big hit, but now they needed the premises back for business and promotion functions. Compensation has been offered to cover decoration fees, Ji said. Eva said she had failed to make the situation between two sides clear and apologized for causing a misunderstanding. Cao said she was told on May 2 that A Coffee would have to move by May 5. She had hoped to be given more time, she said. It was sad news for the “customers” too. “I was really astonished and so sad about it. For me, it’s like waking up from a good dream,” said Alley Zhang, whose son Tiantian works there. Cao said several companies have approached her offering help, but she prefers to find a venue nearby as the autistic teenagers have become familiar with the area. Autism is a poorly understood neurological disorder marked by impaired communication skills and repetitive patterns of behavior. Official figures show China has an estimated 10 million autistic people, one in five of them 14 years old or younger. But there are few schools specializing in education for autistic children who often have troubles adapting to mainstream classes. Tiantian is an example. “It’s lucky for us that a normal primary school accepted Tiantian. He was treated well by teachers and classmates. But still he lived in deep frustration because he couldn’t understand what others said. So, he didn’t go to middle school,” his mother said. Daisy Deng, headmaster of the Beyond Autism School, said autistic children see the world in pure, honest and sensitive terms, and have an exceptional focus on detail, which make them perfect for certain positions such as being a librarian or an accountant. In September 2013, Gu Jiandong, who is autistic, became a librarian at Shanghai Library at the age of 21. Four and a half years on, he is still considered to be the only autistic person to be formally employed in the city.